whose idea of the steam engine came to him in 1765, while wandering aimlessly through Glasgow Green, Watt hit upon the idea of condensing the steam in a separate vessel. This removed the need for heating and cooling, making the engine faster, safer, and more fuel-efficient. 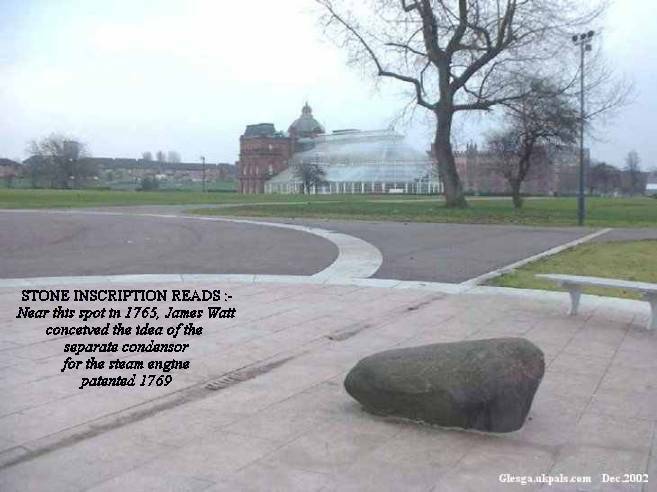 A stone in Glasgow Green marks this spot, where the industrial revolution really began. It was his invention that allowed industry to move into towns from the water powered countryside and laid the foundations for the industrial revolution. In 1882, 63 years after Watt's death, the British Association gave his name to the unit of electrical power - and today James Watt's name is to be found written on almost every lightbulb in the world. 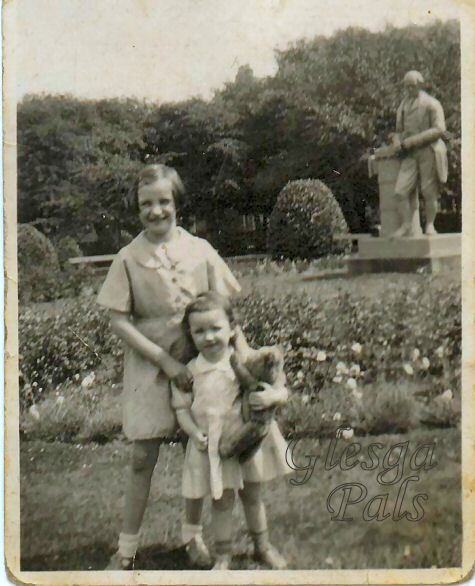 The two wee girls are sisters Dinah and Alice Maxwell aged 7½ and 2½ from James Street, Bridgeton. 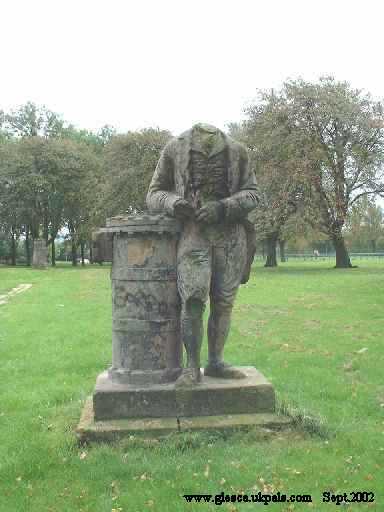 "......I write to bitterly complain about the James Watt statue which has not only been badly defaced but is also headless!...........I find it appalling that such a well known figure, who brought fame to the city should be left in such a state.........he like many other people are part of the culture of our great City........Could you please let me know if there are any plans to restore this statue and it's rightful place in our City's history"
# Extract of Reply from Glasgow City Council, Peter J Downing, Principal Landscape Officer. "I am delighted to be able to advise you that it is planned to restore the James Watt Statue including replacing his head, and relocating it within the Winter Gardens enclosure"
So success for our James Watt statue and our website, well done Russell.